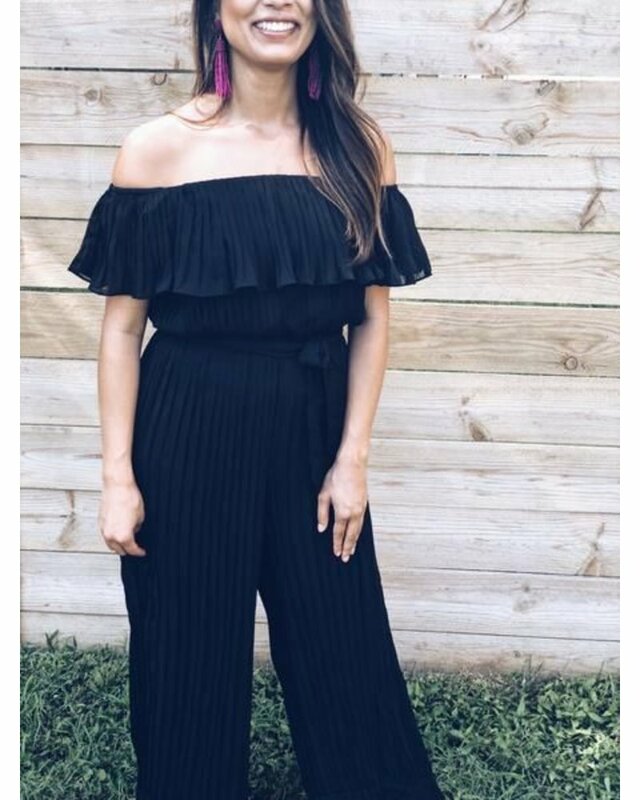 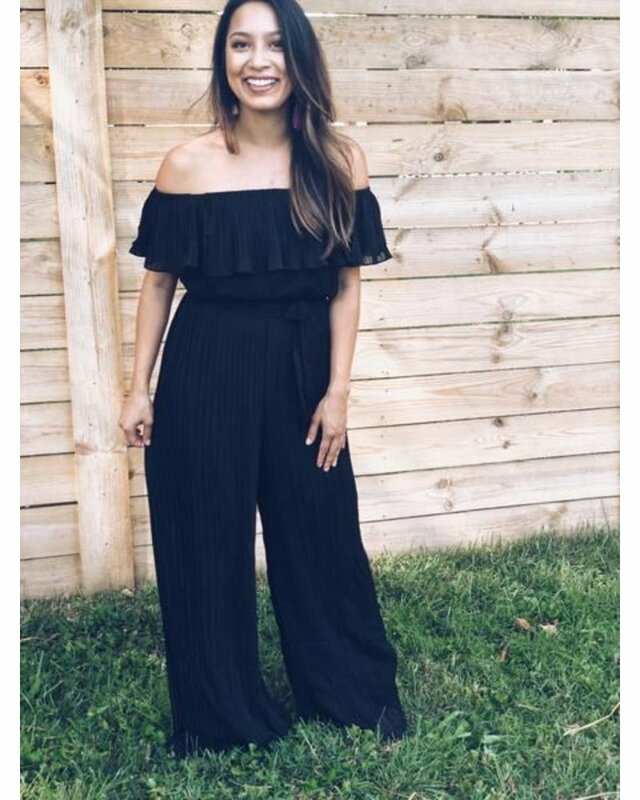 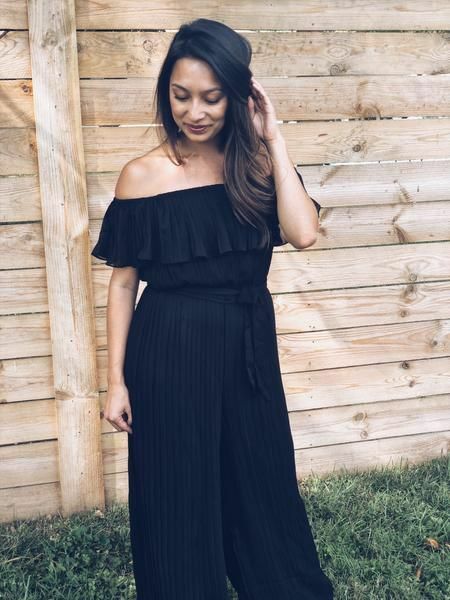 This Pleated off the shoulder jumpsuit will make you wanna dance! 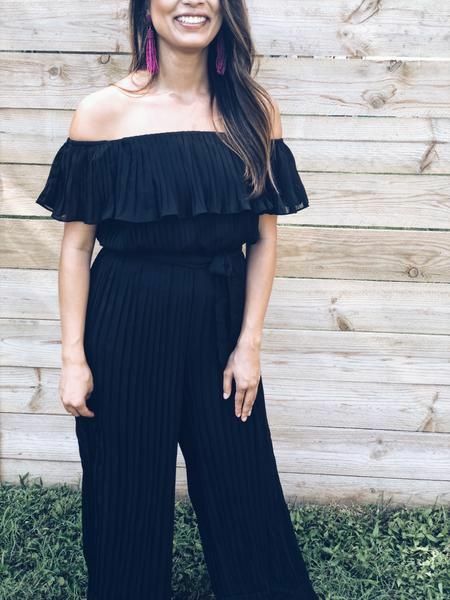 Black off the shoulder with soft pleat details. 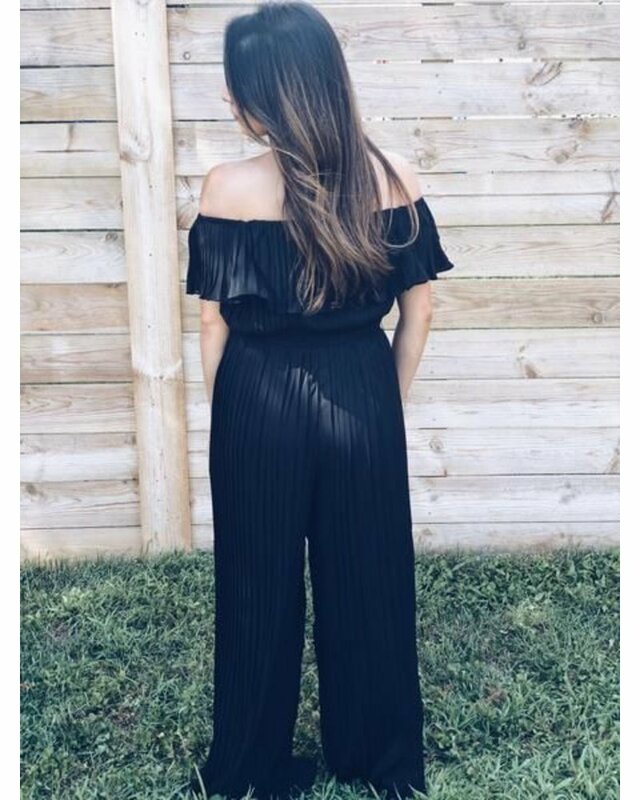 Elastic waist with a tie belt.